I’m trying something new, so just go with it. Lucky is one of the luckiest 16 year-olds right now. He has thousands of followers on social media, his career is gaining speed, and his platinum hair/blue eyes combo will make any girl swoon. He’s already walked for Fendi, Tom Ford, and Bottega Veneta, so you could say he’s “made it.” However, few know that he’s also extremely interested in music. 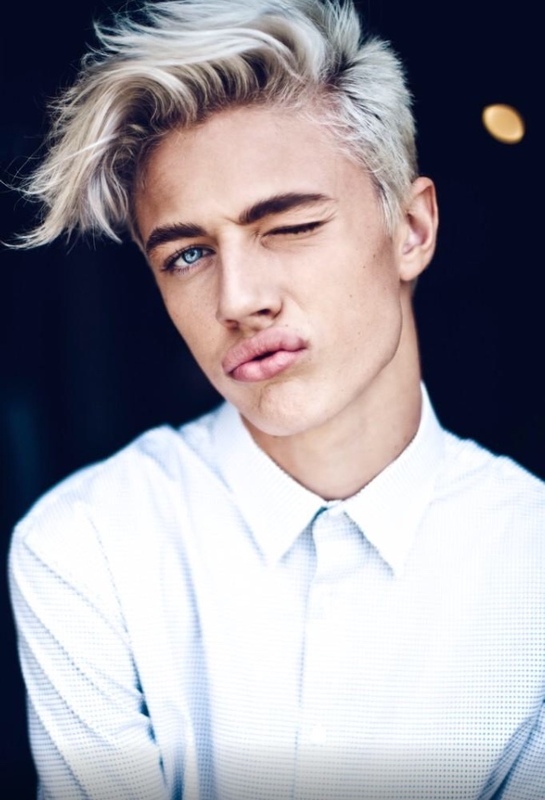 He’s part of a band called The Atomics, with his three older sisters (two also model). Apart from music and modeling, Lucky is just a typical teenager who loves In-N-Out, the beach, and tweeting his 72.6K (and counting) followers.